Coastal Bin Cleaning LLC - Santa Barbara, CA. Are you tired of dirty, smelly, pest ridden trash cans? So are we, and now we are here to put an end to the stink! Trash cans become foul even when trash bags are used inside them. Trash bags frequently get nicked, ripped, and torn letting odors, mush & foul liquids find their way into the depths of your trash can. It only takes one bag of trash containing common household items like tissues, napkins, diapers, eggs, raw meat, spoiled milk, and rotting produce to infect your trash bins with harmful bacteria and germs such as Salmonella, E coli, Listeria, and more. It only takes hours for bacteria to multiply by the thousands. 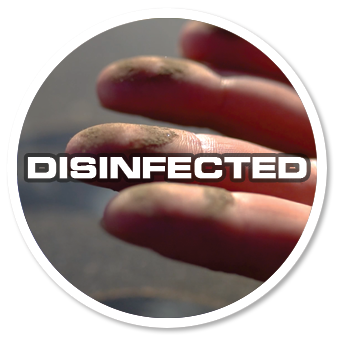 And, it only takes one single touch to potentially become infected! Our specialized truck is equipped with dual industry specific, high pressure spray heads running at 1100psi to free up and blast away dirt particles and all of that nasty sludge. Our on-board hot water system runs at 200 degrees. Not only to break particles and sludge free but more importantly to kill harmful bacteria like Salmonella, E coli & Listeria. 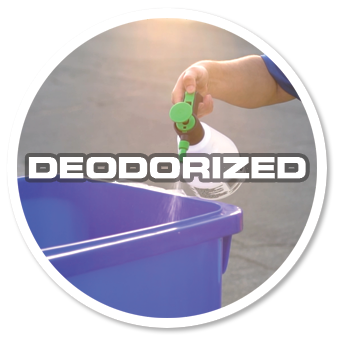 Once all of your bins are free of particles, sludge & bacteria, we'll finish them off with our “Coastal Scented” deodorizing solution. We use low volume spray heads to save water & we recover waste water for proper treatment. 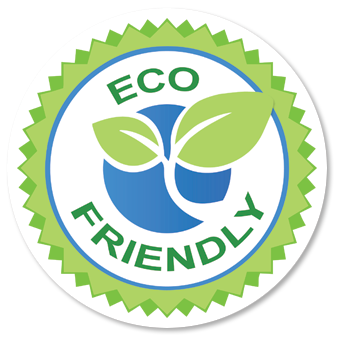 No harsh chemicals are used, our cleaning solution is used only when needed & is green seal approved! 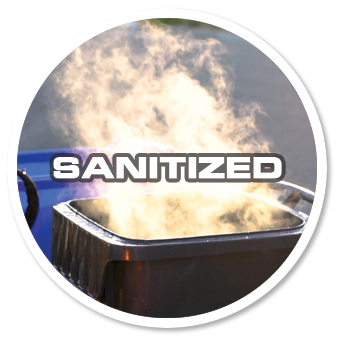 Stink free bins not only mean the absence of molds & bacteria, but also the absence of pests like ants, flies, maggots, rats, raccoons & Skunks! The 'Do It Yourself' at home method, usually requires lots of water & the use of harsh chemicals, which could cause harm to the environment by flowing into the storm-water systems that flow into our beautiful creeks and oceans. So what does all of that mean to you? Read more on How It Works here.